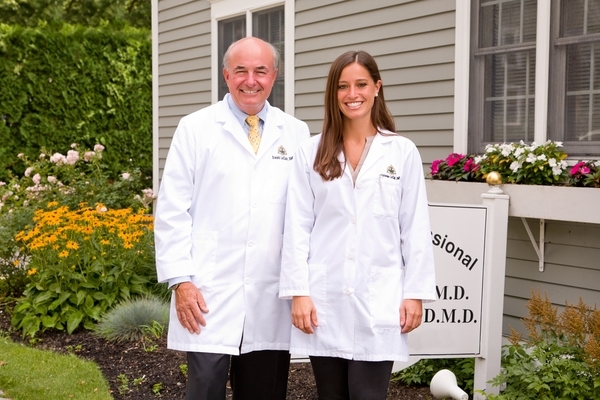 When you visit our Beverly, MA family & cosmetic dental office, your smile is our top priority. Both Dr. Donald LeClair and Dr. Adrienne LeClair, as well as their entire dental team, are committed to providing you with the personalized, gentle care that you deserve. Drs. Donald and Adrienne LeClair offer Beverly area patients a comprehensive list of general, restorative and cosmetic dental services designed to meet the needs of the entire family. The goal of our dental practice is to assist each patient in achieving and maintaining long term dental health and a beautiful smile. Part of our commitment to serving our Beverly, MA area patients includes providing information that helps them to make more informed decisions about their oral health needs. Click on the link below to watch video presentations covering a variety of dental related topics. We genuinely hope this site is helpful to you in learning more about our Beverly, MA dental practice, dental conditions and treatments, payments & insurance, dental recommendations, driving directions and more. Please browse through our website and be sure to give us a call @ (978) 927-4700, if you have any questions or would like to schedule an appointment. We are proud to announce that LeClair Dental was awarded the 2015 Dentistry Beverly Patients' Choice Award. We offer some Saturday hours. "Check out some of our many Facebook fans!"